My thoughts: ABIDING MERCY is the first book in Ms. Reid's newest series with Thomas Nelson. I love the way she incorporates angels into some of her books and the red-headed mysterious man who randomly appears, disappears is a nice touch. I did not like Faith's sister, Olivia, at all. She was spoiled, selfish, and hateful and I don't see what Gideon ever saw in her. Gideon was a very sweet young Amish man. He was quick to step in and help Faith when her parents were in an accident and even willingly did "women's work" something many Amish men won't do. Faith was very sweet too, and when her world is disrupted struggles to find her footing while still obeying everything her parents said -- I don't think she would've been so quick to accept Englisch clothes, especially jeans the first time she tried them on in real life. 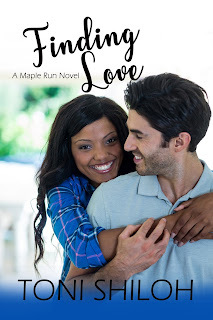 There is absolutely no sexual tension in the story (for readers who like a super clean, sweet romance) and there is good faith message that is not at all preachy. The story is also a bit slow, making it ideal to read on a busy day as you can put it down and pick it up easily without say, burning dinner. 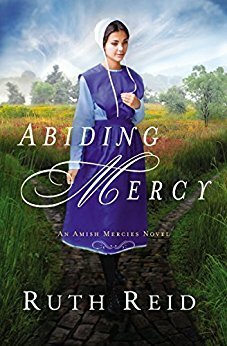 Fans of Amish fiction will likely love ABIDING MERCY. I'm glad this story finally made it into print as it was a long time coming. 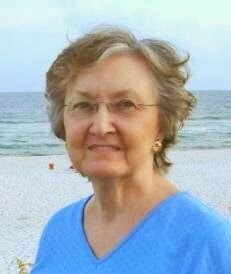 Congratulations, Ruth Reid! I received a copy of this book free and all opinions are my own. 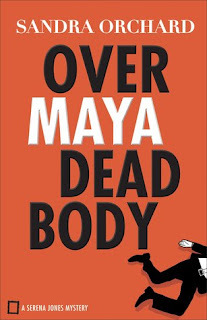 My thoughts: OVER MAYA DEAD BODY was just as fun and quirky as I thought it would be. Serena is an FBI agent who seems to about as clueless as they come, especially about the love stuff. I started to try to figure out who-dun-it, made my initial guesses, and then got caught up in the story and forgot to try and make my final guesses. I was admittedly more interested in who would win Serena's heart. Nate, the good ole boy who manages her apartment and has oh, so many secrets, or Tanner, her FBI co-worker who trained her for her job. And while the romance was hot, the mystery was just as intriguing, but not terribly scary. In themes with the other books, this is an art mystery, this time with smuggled artifacts and people are turning up dead. I am pleased to say my initial guesses as to who-dun-it were spot on despite the numerous red herrings planted in the story. The faith message is rather weak, but slightly present. There was one untied string which may or may not mean another book in the series--since it was alluded as to who the killer might be. I enjoyed reading this book. I received a free copy of OVER MAYA DEAD BODY. All opinions are my own. My thoughts: Wow. 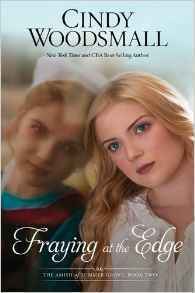 FRAYING AT THE EDGE was an emotional read that I so was not expecting. I mean I should have been, I read Ties that Bind earlier this month. It was so emotional, with Ariana missing her family, being forced into a world she wanted no part of and having everything stripped away except a friendship with Quill that she didn't want. 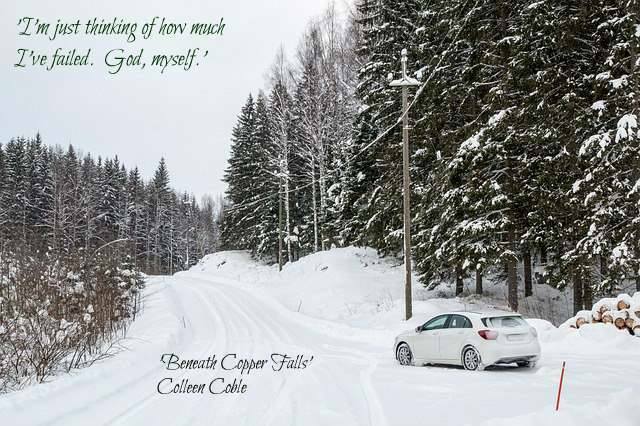 Likewise, Skylar, going from being a not exactly only child, but one with everything handed to her -- and a drug addiction, to being one of like a dozen children in a small house with a family that is dirt poor. How would either girl survive the culture shock? Quill. Oh. My. Word. I am so in love with him. And Abram. They are both so wonderful, thoughtful, beyond awesome men. I am looking forward to reading Gathering the Threads (releasing next month, squeee!) so I can read more about them. And yes, I have my wants about how I want this series to end, but whether they go the way I want or not, I know I'll be engaged. 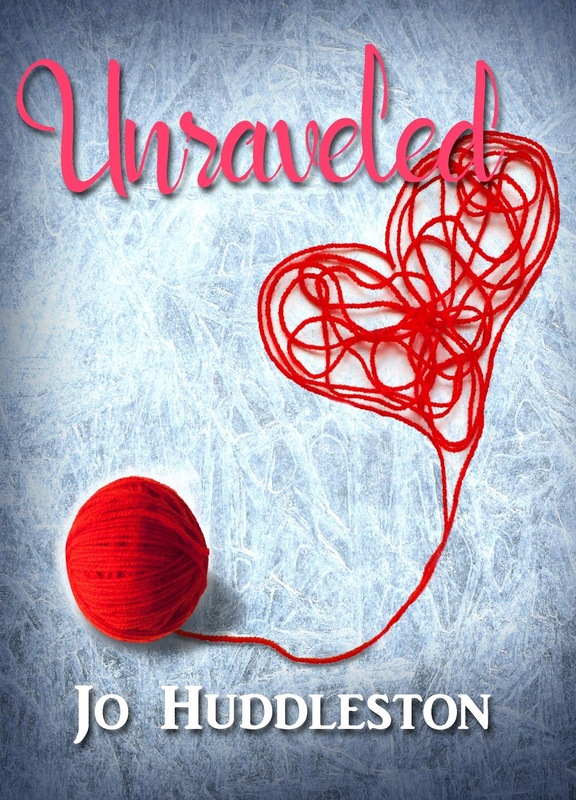 This is a series you will want to read in one sitting, starting at the beginning with Ties that Bind, Fraying at the edge, and Gathering the Threads, so you might want to start now at the beginning. I absolutely loved the first two books in this series. 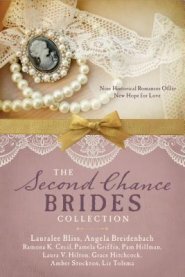 There is a reason why Ms. Woodsmall is one of my favorite Amish authors. THE ROAD LESS TRAVELED . . . FOR A REASON! Camping is not one of my favorite activities. My idea of roughing it is a little more civilized. Like maybe a hotel with a complimentary breakfast -- kind of like Bessie in my story Married By Mistake featured below. My family has a different opinion. My husband, Steve, is former Navy stationed with the Marines, and used to the military’s version of camping. My son sleeps outside in the backyard for fun. Since we live deep in the forest, it’s not a stretch to imagine bears, raccoons, mountain lions, and other wildlife. They are very real, present, and accounted for. When Steve and I were first married, my mom and two of her friends decided to go camping at Petit Jean State Park near Russellville, Arkansas. Mom invited Steve and me to go with them. Steve was all for it. And ready to leave, yesterday. I was considerably less excited, but told Mom we’d be there, asked what we could bring, and started praying for clean bathrooms and showers, without an army of bugs and spiders spying on me as I shower. I can’t remember whether we went to Petit Jean in the spring or the fall. The temperatures weren’t hot during the day, but in the comfortable range, and the nights were down-right cold. Mom had camp cots and sleeping bags left from the days when we went camping for weeks every summer with Mom’s and Dad’s friends. The ones that had the same “roughing-it-is-fun” idea as my parents—and it was. Sometimes. And so I found myself engaged. And two months after that, married. We’ve been married close to thirty years now, so I believe God proposed for us. My children find my speech equally amusing and unsettling. They are used to me saying weird things. Like, “Go see if there’s a mailbox in the letters.” Or, “Get the refrigerator out of the carrots.” I’m also known to get common sayings all mixed up and wrong. Unfortunately, my fingers have the same problem as my mouth. Things come out wrong or without realizing I said them. I claim it’s part of my Pennsylvania Dutch heritage—after all, I had to go through speech therapy as a child due to the German way of saying certain words. For example, the word “three.” My family all said “Tree.” As in, “I ate tree cookies.” That wasn’t acceptable in public schools. So I had to go to therapy to learn how to pronounce three. I also know my family got their word order mixed up all the time, like I do. “Go get the cookie jar out of the cookies.” All the people, in the Michigan community my grandparents settled in after leaving the Amish (German settlers) spoke the same way. I had to learn to be completely reliant on God for words. Pray often. When asked to speak in front of the church or at a library, I do serious praying that the words will come out in the right order. After being laughed at a lot as a child, I learned that silence is best. And unless I know someone and feel comfortable around them, I remain quiet. That is something I struggle with now. As a pastor’s wife, as a homeschool mom, and as a writer, God is constantly forcing me out of my comfort zone. Just like those long ago camping trips with my mom and dad, and – later – Mom and Steve, I am out of my element when asked to speak at libraries, in front of a church group, or at a ladies meeting. When asked to contribute to blogs I struggle to come up with something valuable to say. I learned I do much better when I give both the words that come from my mouth and the words that come from my fingers completely over to God. 40 Days Of Healing takes the reader through 40 days of fasting in hopes of being delivered from the "IT" that has caused separation between them and God, and gives them the opportunity to journal their most personal prayers, thoughts, and intentions. 40 Days Of Healing is also a complete guide to 40 days of fasting and spiritual renewal. It is an opportunity for mind renewal in your mind, body, and spirit. 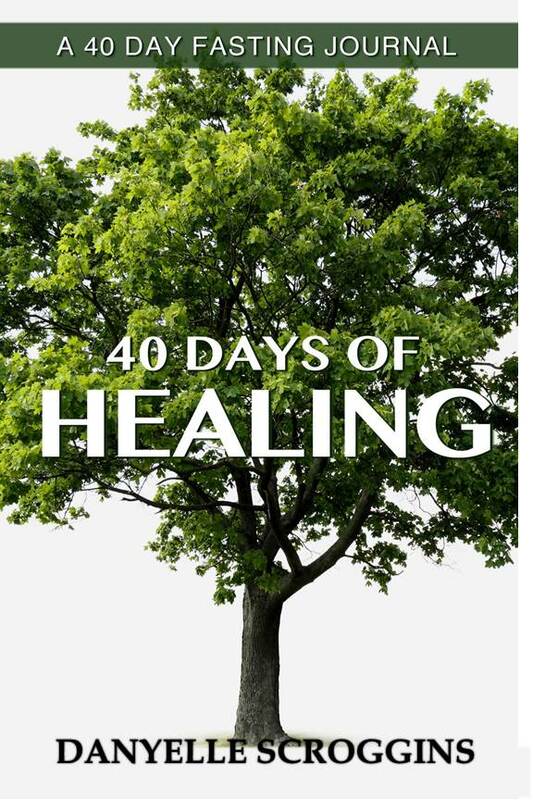 It is saturated with wonderful scriptures to help usher you into your healing. My thoughts: Like many other readers, I loved Ms. Coble's Rock Harbor series, set in an area of Michigan that I know and love. 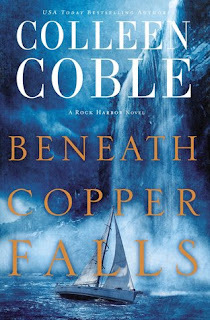 And although I have never written Ms. Coble asking for more books in the series, I was glad when BENEATH COPPER FALLS came out. I enjoyed getting to know Dana and Boone. I knew a bit about Dana's job thanks to my son's time working for the sheriff department and it was fun learning about Boone and what made him tick. The suspense - as my daughter said "sounds scary." I asked if she wanted to read it and she said no, she doesn't do scary. She punctuated it with a shudder. It wasn't really all that scary, but as the reader I was kept awake one night trying to figure out who-dun-it and by the time I got up in the morning I had it figured out and then I had to finish the book to see if I was right. Ms. Coble does an excellent job with the red herrings and I think one has to be more than somewhat familiar with the genre to figure out her who-dun-it before the end, which is good because it will keep readers guessing! It was also great to revisit Bree, Kade, Adu, Laurie, Mason, and other familiar Rock Harbor characters--not to mention the Search and Rescue dogs. Great story. There is a weak faith message and a couple uses of soft swear words for those who are bothered by mild swearing. I was given a free copy of this book. All opinions are my own. Like her grandmother, Lucinda J. Miller wears long dresses and a prayer covering. But she uses a cellphone and posts status updates on Facebook, too. Anything but Simple is the riveting memoir of a young woman’s rich church tradition, lively family life, and longings for a meaningful future within her Mennonite faith. With a roving curiosity and a sometimes saucy tongue, Miller ushers us into her busy life as a young schoolteacher. Book 5 in the Plainspoken series. Hear straight from Amish and Mennonite people themselves as they write about their daily lives and deeply rooted faith in the Plainspoken series from Herald Press. Each book includes “A Day in the Life of the Author” and the author’s answers to FAQs about the Amish and Mennonites. My thoughts: Memoirs are not preferred reading material for me, but this book sounded interesting. I like Lucinda Miller's voice, she writes open, honest, and real, and this book is definitely organized in a realistic readable way, not jumping back and forth to little kid and adult. If it does it is only because the childhood incident relates to something as an adult. It was fascinating realizing how similar Ms. Miller and I were brought up, although my Amish grandparents made a slightly larger jump of the fence from Amish to United Brethren. I grew up canning and dressed simply (in dresses) and other very plain things, though I never did wear a Kapp. 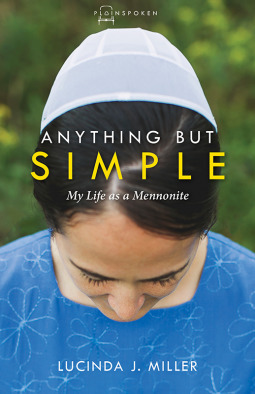 If you are fascinated by all things plain and want a real, honest-to-goodness look at what it is like to grow up Mennonite, then Ms. Miller's ANYTHING BUT SIMPLE: MY LIFE AS A MENNONITE would be a great book to pick up. 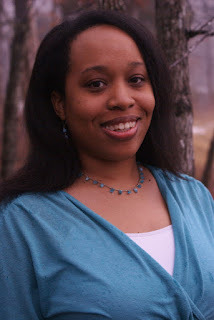 It also includes a day in the life of the author and a list of questions she answered. 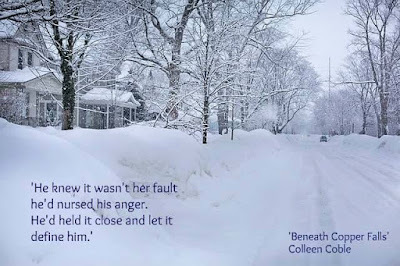 Jo is offering an eBook copy for a giveaway. Be sure to leave contact information. 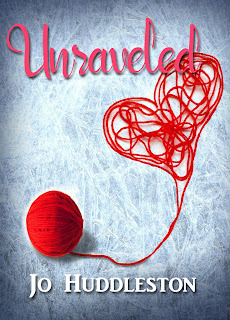 In 1954, twenty-six-year-old Alice Patterson undergoes a pregnancy loss that affects everything and everyone she touches. Emotionally and physically drained, she must come to terms with her traumatic loss or risk losing her husband, her best friend, and her sanity. For anyone looking for a fresh way to present the gospel to young children, Wow! The Good News in Four Words is a perfect resource. This whimsical and fun book outlines the gospel in a simple and memorable way (for both adults and kids! ), using fun words to highlight the story. The book will present Creation/Genesis (Wow! ), The Fall (Uh-oh . . .), Redemption/Jesus’ Life and Sacrifice (Yes! ), Restoration/The New Heaven (Aaahhhh), ending with one last Wow because we get to go out and tell the Good News! My thoughts: Wow! 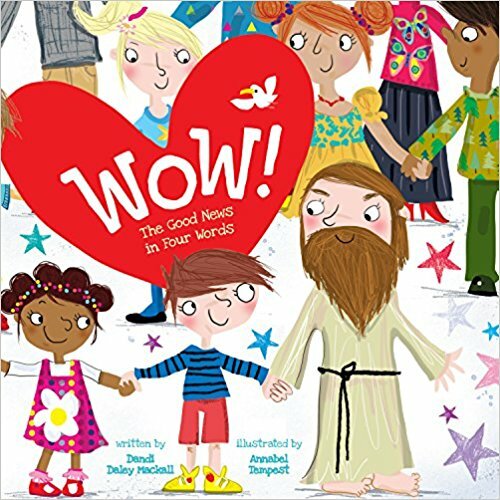 : The Good News in Four Words is a cute and creative way to share parts of the gospel with children (and adults) using four words to tell the story. This is not a book to use with children raised in church who know the gospel forwards and backwards, but if your church has a bus ministry, or a good news club or other ministry that reaches out to unchurched neighborhood children then this book would be awesome for them. It is worded in such a way that the person reading the story can expand on it if the listener asks questions, so they might get the whole truth instead of a watered down version of it. Definitely unique and and timely ministry resource with more people unchurched than ever before. 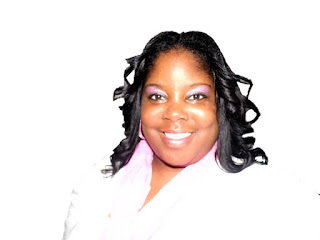 Today we welcome Toni Shiloh to my blog. Toni is very graciously giving away an ebook of her new story Finding Love. To enter, answer the question in blue below. Please leave contact information. That no matter what you’re going through, you can trust God to see you through it. Trust is so hard to surrender to, especially when we’ve been hurt in the past. But unlike people, God is faithful and worthy of our trust. When you stepped out on faith and trusted God, how did your life improve? I’m offering an eBook copy of Finding Love. How did Finding Love get started? It’s book two in my Maple Run series. When I finished book one, I knew I wanted Delaney’s story to be one of the books. Since some of the other characters refused to talk to me, I decided to tell her story. I’m so glad I did! I enjoyed writing her tale. Usually I have to do research on jobs and setting. Almost all of my books are in a different place. Fortunately, since this is book two in the series, I didn’t have to do more research for the setting. But I did have to look up information for my hero’s job as a paratrooper. I enjoyed the research and learning something new. It solidified my desire never to jump out of an airplane, lol. I’m just the person doing the typing, lol. I think the only similarity Delaney and I have is we both have boys. In fact, I used them for inspiration while writing about her twins. While you were writing Finding Love, do you think it mattered where the book was set? Yes! Since it’s set in the fictional town of Maple Run, I had a perfect vision in my mind. I don’t have every store or place perfectly placed in my mind, but it has a feeling and a mood I hope welcomes the reader.